Gooroo’s patent-pending technology, based on neuroscience and artificial intelligence, maps how different people think and make decisions in their lives and at work. Gooroo applies its technology in the areas of Human Capital, Marketing and Careers. To build experiences that positively influence the lives of all humans so that they can be happier, healthier and more productive. Offering an enterprise Software as a Service (SaaS) platform and Human Capital ecosystem that delivers an integrated and seamless experience for leaders, teams, recruiters, staff and job seekers. For enterprises, Gooroo technology profiles staff and teams and provides the analytics and tools to support the transformation of a workforce to become more collaborative, adaptive, responsive to change, and growth-focused. Identifies areas of individual staff development and provides new opportunities for managerial dialogue with their team. Can provide every staff member with their own Gooroo experience, delivering personal workstyle and mindset insights along with the ability to manage their skills, interests, passions and work preferences. Provides detailed candidate reporting to support decision making and to share internally or with clients. Gooroo Marketing provides ‘meaning’ to any dataset related to people and offers guidance in how to apply that meaning. With an understanding about how specific audiences will make choices and decisions, this enables more accurate and actionable insights for faster and more confident decision-making. Real human insight - Gooroo knows how people think. Customers can dive much deeper into understanding their customers, and how to engage them in a more meaningful way. Meaningful communication - Every customer and prospect is different. Gooroo provides the tools and intelligence to create meaningful communications that will resonate. Better outcomes - Gooroo technology drives more effective marketing outcomes and more efficient use of marketing funds. Communication strategy, creative development and targeting - Gooroo delivers detailed information on how to communicate. This enables marketers to develop tailored communications that resonate with your customers when and where they are most receptive. Product and Portfolio Development - Develops a deep understanding of why customers buy, and what is important in their decision-making process. This helps ensure the products built are right for an organisation’s customers, to make improvements and/or develop new products. Customer retention and acquisition - By identifying and profiling different patterns of thinking associated with customers, marketers understand more about their best customers and prospects, how to communicate to them, their approach to decision making, their likelihood to convert or upsell and where to find more of them. Network (store) optimisation - Using a combination of analysis of store catchments, store sales and customer data, pinpoint which stores under/over perform and why. Actionable - Informs creative development, communications strategy, personalisation, product and portfolio development. Fast - Traditional custom research studies can take weeks or even months to deliver meaningful insight. Gooroo can deliver meaningful and actionable intelligence in just days. Flexible - Gooroo works with the data clients have available today. There is no need to make additional data investment to get the meaning they need. Gooroo Careers offers a SaaS-based platform catered for students, learning institutions and career advisors. Gooroo Careers establishes individual development pathways to reskill and upskill for the future. Gooroo matches individuals to career areas, learning and job opportunities, helping them take more control over their lives and future direction. Gooroo is working with training organisations, universities and strategic partners to provide employability solutions for completing students preparing for entering the workforce. Gooroo supports all job categories and regions (currently only English speaking). Gooroo also runs one of the world’s largest communities of tech professionals, located at www.gooroo.io/talent, offering a rich career management services for those entering IT to seasoned professionals. Gooroo is a Microsoft Learning Partner, and is authorised to issue Microsoft certifications. Expert advisory services support Gooroo technology implementation and adoption. Gooroo’s Executive and Professional Development Centre delivers training and certification programs that are offered to customers and partners to understand how to apply Gooroo tools and technology. Advisory services are priced on demand based on the implementation. Training packages are offered for individuals and groups. Gooroo’s core technology leverages artificial intelligence disciplines such as machine learning and natural language processing (NLP). In June 2016 Gooroo acquired ColourGrid™, a platform based on neuroscience that is used to evaluate an individual’s mindset, work styles, contribution and alignment to a company and team. Gooroo's approach based on strategic thinking research conducted over 40 years by Dr Colin Benjamin OAM (whose IP Gooroo Ventures acquired in June 2016). Gooroo's human thinking IP represents an integrated theory from over 100 leading experts such as De Bono, Hofstede, Inglehart, Jung, Mathis, Trompenaars and Dr Benjamin. Gooroo has since established a Human Thinking Research Unit to extend the framework and explore further applications with partners. Gooroo's Advanced Relational Meaning System (ARMS) replicates the way that brain, mind, and consciousness are integrated to build a frame of reference for how we make decisions, in particular in times of choice and uncertainty. It allows us to establish the sequence and patterns of human thought that generates 'meaning' and a preferred pathway to a specific goal and objective. This allows us to map an individual’s likely decision-making patterns in specific settings and environments. This capabillity was the subject of a patent application in October 2017. Gooroo technology is hosted on Microsoft Azure and the Workforce Analytics platform is made available via a Software as a Service (SaaS) subscription licencing model. No-one in the world can match Gooroo's ability to map patterns of human decision making when an individual is subject to choice and challenge. Gooroo has developed world-first capability that understands ‘how’ every person in the world thinks. The pace of technological change necessitates rapid transformation of national economies, industries and businesses. Gooroo is the only tool that can help engineer change, instead of suffering it – at a personal level for every citizen and employee. Gooroo establishes a platform for better decisions which delivers widespread savings, returns & untapped possibilities. Faster time to productivity for new hires. In October 2017, Gooroo lodged a patent application on the process of human thinking - securing Gooroo’s globally unique ability to map the decision-making patterns of individuals. The application of this intellectual property is both significant for organisations who seek to better understand and engage their workforce & customers. Gooroo is working on two new patent applications in 2018. In January 2016 Gooroo signed a three-year alliance with Microsoft, providing career planning tools millions of Microsoft Certified Professionals (MCPs) and Most Valued Professionals (MVPs). Gooroo has also been awarded Microsoft Learning Partner status. Gooroo continues to build an online community of ICT/Digital professionals, now exceeding 26,000 individuals. This specialised pool of talent is made available as a value-added feature to subscribers of Gooroo People Analytics. 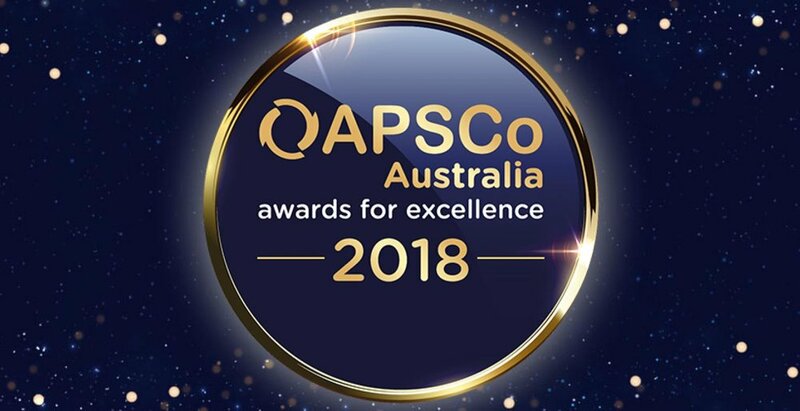 Gooroo was awarded the 2018 APSCo Creativity & Innovation Award for Excellence. APSCo (the Association of Professional Staffing Companies) represents the interests of recruitment organisations and the world's largest professional staffing association. The Awards for Excellence are the most prestigious accolades in the professional staffing sector. The Awards are a global indicator of professional standards and personal achievement and, as such, are widely recognised by clients and Governments and industry peers. Gooroo's Workforce Analytics platform was recognised as Innovation of the Year by peak industry body AIIA in the Big Data & Machine Learning category at the Victorian iAwards. The iAwards are the most recognised and prestigious technology innovation award in Australia. The iAwards discover, recognise and reward the technology innovations that have the potential to, or are already having a positive impact on the community – at home, in the office and on a global scale. We have been working hard on building new service lines and solutions that integrate the Gooroo technology and intellectual property. Gooroo represents an important cog in our strategy and we are excited about the significant opportunities that are now in front of us both.